On September 27-28, 2016, the Entomological Society of America (ESA) convened a high-level summit of global entomological leaders in Orlando, Florida, USA at the Rosen Centre Hotel, Ballrooms D and E . This was the inaugural meeting of the Grand Challenges in Entomology Initiative. At this invitation-only Summit we explored three broad issues of major global importance to which entomology can make a unique and powerful contribution. The agenda from the meeting is below. A poster session accompanied the Summit. 12:30pm Lunch, featuring “thought tables” with discussion-focused seating. View posters. Annapolis, MD; March 29, 2016 –The Entomological Society of America (ESA) and Sociedade Entomológica do Brasil (SEB) held a Summit in Maceió, Alagoas, Brazil on 13 March, 2016 to discuss the Aedes aegypti mosquito, which is the primary transmitter of Zika, dengue, chikungunya, and yellow fever. 1) Connecting scientists to communities more effectively through public awareness campaigns on how people can protect themselves from mosquitoes, and educational efforts to dispel misinformation regarding insect control measures. 2) Establishing mosquito control programs as a critical element of the campaign against Aedes aegypti, in addition to the important work already being done by the medical community on disease management. Prioritizing mosquito control would include funding for integrating well-established and novel control technologies as well as improving the collection and dissemination of data on mosquito populations and the efficacy of control measures. 3) Creating a coalition of international mosquito-control-related organizations to advocate for vector control as a critical element against Aedes aegypti and the diseases it transmits. Aedes aegypti is a container-breeding mosquito that is mostly problematic in municipalities, including urban centers. The Summit is part of the ESA’s Grand Challenges Initiative, which addresses areas where the entomological sciences can impact problems of global importance. A second Summit is planned during the International Congress of Entomology in Orlando, Florida on September 21, 2016. To learn about the key findings from the Summit, including recommended actions and critical research needs, please visit https://entomologychallenges.files.wordpress.com/2016/03/outcome-statement-final.pdf. 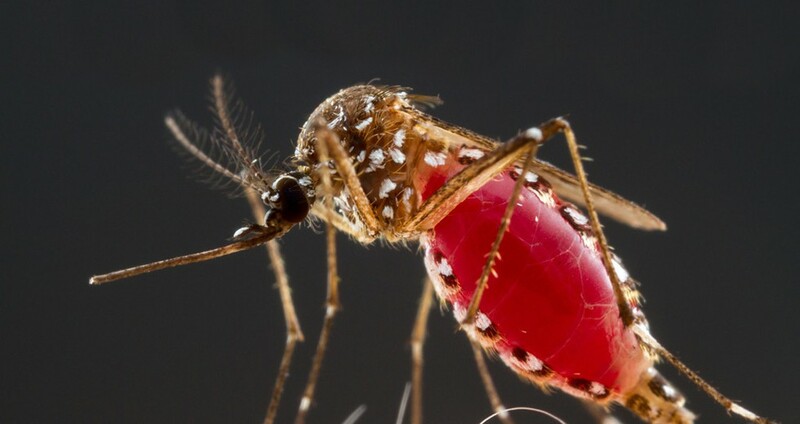 To learn more about the Summit on the Aedes aegypti Crisis in the Americas, please visit https://entomologychallenges.org/grand-challenges-summit-on-aedes-aegypti-mosquito-in-brazil. To learn more about the ESA’s Grand Challenges Initiative, please visit http://entomologychallenges.org. The Entomological Society of America, co-host of the Summit, is the largest organization in the world serving the professional and scientific needs of entomologists and people in related disciplines. Founded in 1889, ESA today has more than 7,000 members affiliated with educational institutions, health agencies, private industry, and government. Members are researchers, teachers, extension service personnel, administrators, marketing representatives, research technicians, consultants, students, and hobbyists. For more information, visit http://www.entsoc.org. Click here to read em português. Annapolis, MD, January 27, 2016 – On March 13, 2016, in Maceió, Alagoas, Brazil, the Entomological Society of America (ESA) and the Sociedade Entomológica do Brasil (SEB) will host a meeting of the societies entomological world to talk about collaborative control options to combat one of the most lethal animal species in the world – Aedes aegypti a mosquito that transmits the Zika virus, dengue, chikungunya and yellow fever . The purpose of the summit will be to organize the international entomologist community to better control the diseases caused by mosquitoes in the Americas and around the world. Under the title “Summit on the Aedes aegypti crisis in the Americas: Uniting to face a major challenge” , the summit is expected to bring together the world’s most prominent entomology researchers and several dozen other high-impact assistants to look for ways to fight this mosquito. The meeting is the first of two summits to be organized by ESA in 2016 as part of the Grand Challenges Agenda, which looks for areas in which entomology can have a significant and positive impact on issues of importance to humanity. At this first summit, the leaders of the international entomological communities will meet with leaders from government agencies, industry representatives, public health experts and funders to discuss the crisis caused by this mosquito, as well as the ways in which that societies can respond. Establishing a sustainable program for the effective elimination of the mosquito is a central objective of this first summit. A second summit will be held in Orlando, Florida, during the International Congress of Entomology (ICE) in September 2016. Zika and chikungunya have been rapidly gaining momentum as serious threats to public health after their recent appearances in the Americas. The Aedes aegypti carries these and other life – threatening diseases, including dengue and yellow fever. The US Centers for Disease Control and Prevention. They have recently identified Zika as a probable cause of microcephaly in newborn babies, which led to the US government. to issue warnings for travelers to the affected regions. The summit will be held in conjunction with the Brazilian and Latin American Entomology Congresses in the city of Maceió in Brazil. Entomological and scientific related societies, national and international, are invited to send representatives to attend this summit. The session will include scientific presentations in addition to plenary speakers, poster presentations, panels, subsidiary work sessions, and discussions about the next steps necessary for the action. The Entomological Society of America is the largest organization in the world that caters to the professional and scientific needs of entomologists and people who work in related disciplines. Founded in 1889, ESA now has more than 7,000 members affiliated with educational institutions, health agencies, private industry and government. The members are researchers, professors, extension service personnel, administrators, marketing representatives, research technicians, consultants, students and hobistas. For more information, visit http://www.entsoc.org . Click here to read an Informative Article about the Summit. Click here to read about ESA’s Great Challenges Initiative.